TOKYO, Japan (July 23, 2012) –The world’s best heavyweights are set to return to Tokyo at last. 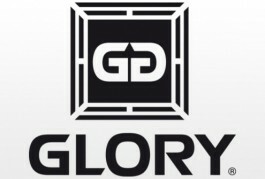 GLORY Sports International (GSI) today announced ‘GLORY Grand Slam – Heavyweight,’ which will take place in the Japanese capital this December. The event will feature GLORY’s top fighters battling in a new and exciting format and promises the Japanese fans something they have been missing for a long time – a truly world-class kickboxing event featuring the sport’s most decorated superstars. Additional details concerning ‘GLORY Grand Slam – Heavyweight’ – including the date and venue plus invited fighters and match-ups – will be announced soon. The event is being staged with the assistance of local partners G-Entertainment, a brand new agency focused on fighting sports, formed by some of the most experienced people in Japan’s fight event production industry. “This is a very exciting time for us. Bringing GLORY to the home of the martial arts, and taking our top fighters who are idolised by the Japanese fans, is a crucial moment for us,” commented Marcus Luer, Managing Director of GSI. With television deals spanning every continent plus a groundbreaking online video streaming system, GLORY is one of the world’s most widely-broadcast sporting organizations already. G Entertainment Inc is a newly formed sports event producer specialized in hosting and operating Fighting events. Although, it is a newly formed company, all the key management and staff are industry veterans involved in various fighting sports and tournaments in the past in Japan. This entry was posted in Events and tagged G Entertainment, glory grand slam, main featured, Most Featured. Bookmark the permalink.